The Christmas Holiday Season is a time of being with friends and family and hopefully it’s a time of great joy. But there was a December in 1966 that was one of profound sadness. Walt Disney was born on the 5th of December. But on December 15th in 1966, just 10 days after his 65th birthday, he died of cancer. People all over the world mourned the loss of this amazing man. He was one of my earliest mentors although I didn’t realize it at the time. Growing up, schoolwork was always a struggle for me. I wasn’t a very good student. But in art class I excelled. It was the one place where I received praise. As a kid with the singular skill of being able to ‘draw a straight line,’ one of my earliest ambitions was to be an animator at the Walt Disney Studio. There was also a bit of nepotism in my thinking as it happened that my mom worked at the Disney Studio in Burbank, California in the Accounting department. Becoming an animator at the Studio was not in the cards for me. Still I look back with great fondness for the inspiration I found in Walt. In the eyes of many, the ‘magic’ of Disneyland and all things Disney are symbols of creativity and joy – dreaming big dreams. Disneyland was about 50 miles from where I grew up in the San Fernando Valley north of Los Angeles. For me, Disneyland truly was ‘the Happiest Place on Earth.’ I really don’t remember going to Disneyland with my brothers and sister. But somehow I was the recipient of many invitations to go with friends. As I walked along Main Street I would look up at the upper story windows. My imagination would conjure up rooms with furnishings matching the antique style of the building exteriors. Although Walt Disney died in 1966, in some way I felt his presence there at Disneyland. I could picture in my mind a place in a room overlooking Main Street where Walt may have once sat. Maybe where he still sits. If I was quick I might catch a glimpse of him peeking out a window. Then there were the Disney films. Heroes from Disney movies and T.V. are forever etched in my mind – Jim Hawkins (Bobby Driscoll) in Treasure Island, Ned (Kirk Douglas) in 20,000 Leagues Under the Sea, Zorro with Guy Williams, Davy Crockett with Fess Parker, Swiss Family Robinson and The Prince and the Pauper. And there was my favorite, The Scarecrow of Romney Marsh with Patrick McGoohan as Dr. Syn/The Scarecrow. And of course, because it’s Disney, there were animated heroes like Peter Pan, Arthur from The Sword in the Stone and the care-free Baloo the bear from The Jungle Book. Some people don’t care for Disneyland or what they feel the ‘Disney Empire’ represents. Obviously I’m not one of them. Walt Disney started out in life with nothing but his imagination. He was an exceptional man. 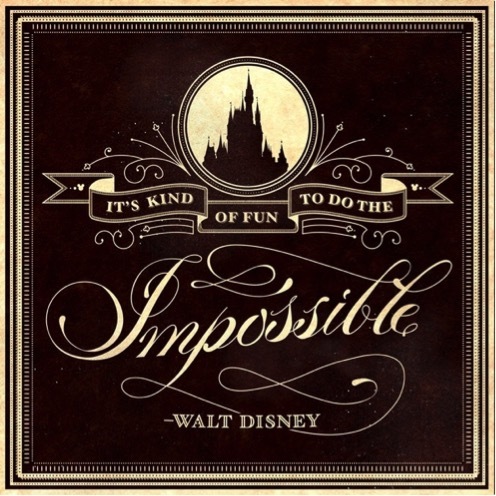 Walt was creative and daring, a man who attempted the impossible and succeeded. Facing huge obstacles and even great failures, he was not only persistent, he was optimistic. As a city boy, I never went hunting with my father. My life, at least so far, hasn’t provided me the opportunity to go exploring exotic places across the world. My somewhat dull life brings to mind another hero of mine, one familiar to all during the Christmas Season. Like George Bailey in It’s a Wonderful Life, I got caught up in raising a family, at times struggling to provide for the ones I love. Maybe I’m a bit naive. I’ve never really stopped being a Dreamer. Dreaming of a better world. Dreaming of making a better world. Dreaming for myself and my family. Dreaming of good things for others. 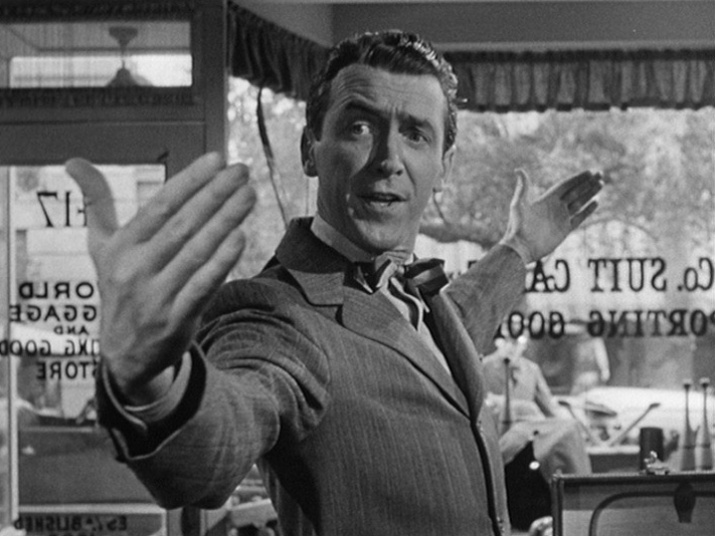 In my small sphere of influence, like George Bailey, I think I’ve helped to make a difference in the lives of others. Like Walt Disney I look for inspiration everywhere, even in childhood dreams. “That’s the real trouble with the world. Too many people grow up,” he said. Christmas is a time to remember when heaven came down to earth in the form of a child in a manger. It’s a time to embrace childlike faith in a God who loves me. May we all become more ‘childlike’ in accepting and loving and dreaming. May we all recognize that each of us has a part to play in ‘doing the impossible’ – making ours a better world. This entry was posted in Growing Up, Inspiration and tagged Childhood, Dreams, Faith, George Bailey, Mentors, Walt Disney. Bookmark the permalink. I grew up in San Diego and it was a big deal when we drove up to Anaheim to visit Disneyland. I still remember those moments when the Matterhorn would come into sight. Back in those days, long before Disney World and its imitators, Disneyland was a, dare I say it, wholesome (and relatively inexpensive) family destination. One that sparked the imagination of both children and adults alike. Yep, a family pretty much need’s to take out a loan to spend a day at Disneyland now days. I grew up with a lot of the same feelings for “Uncle Walt.” My (real) Uncle Frank was an animation photographer for Disney, shooting a number of classic films for them. I’m surprised there haven’t been more movies about Walt Disney. I enjoyed Saving Mr. Banks with Tom Hanks as Walt. I assume the Disney organization keeps tight reins on how he might be portrayed. I like this post and will be following your journey. Thanks for sharing your experiences with us. I’ve enjoyed the experience of having a blog. I guess you could say my daughter is one of my biggest fans (as I am hers). She’s told me how much she appreciates my blog. It’s something that let’s her know me in a way she’s never seen before. Thank you for your kind words. It is a nice legacy to leave behind.